Lene Haney is a State of Florida employee with the Florida Department of Military Affairs (DMA) and works as Grants Specialist II at the Florida National Guard Joint Force Headquarters in Saint Augustine. She has been nominated for the Governor’s Spotlight recognition program. The dedication and commitment to the Dept. of Military Affairs Purchasing Department by Lene are well above the requirements expected of her. The experience and wealth of knowledge she brings to her department has proven successful many times over. She displays a strong sense of drive, purpose, constantly asking to assist her co-workers. She consistently searches to improve purchasing processes. According to Lene’s leadership she is a real team player and does not require much supervision on any of her tasks. 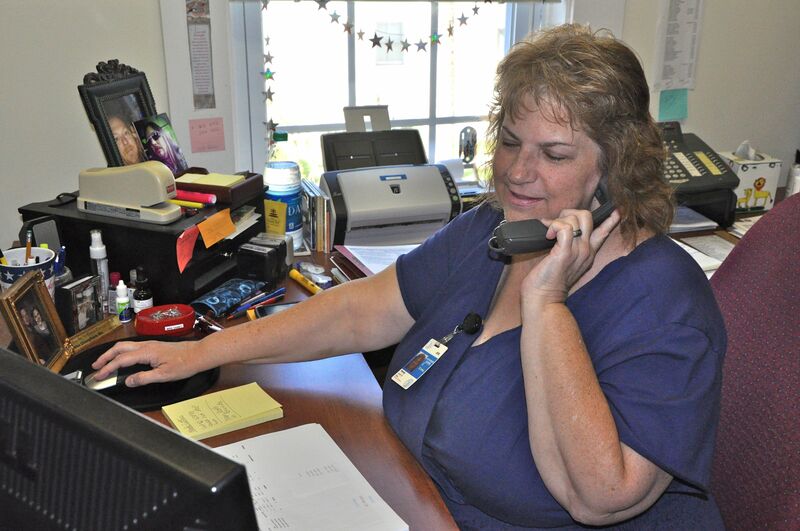 Her supervisor depends on her to assist him in many of the fast-changing requirements due to the state initiative to improve state-wide purchasing processes. Lene consistently and exceptionally performs her duties in a manner worth emulating, providing exceptional service with dedication and loyalty expected by the citizens of the State of Florida, the Florida National Guard and the Department of Military Affairs. Lene enjoys working for the Dept. of Military Affairs and contributing to such an important mission of supporting our Florida National Guard military members and our civilian employees alike.